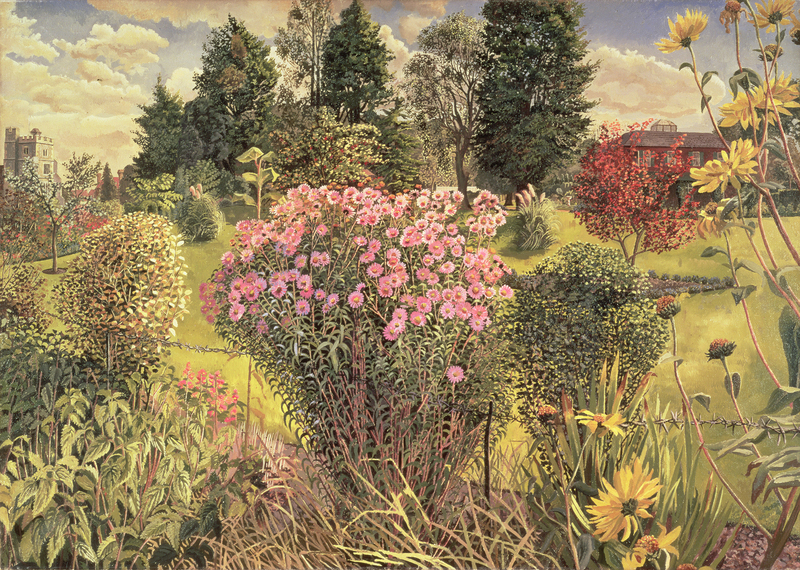 Stanley Spencer painted his first oil painting when he was 19. “Two Girls and a Beehive” depicts the daughters of the local butcher standing beside a beehive in Spencer’s beloved home town of Cookham in Berkshire. The painting, Spencer said, fused his “desires”, which he defined as “the place, the girls, the religious atmosphere”. A new survey at the Hepworth Wakefield gallery in Yorkshire shows how those teenage desires, both spiritual and prosaically sensual, remained present in his work up to his death in 1959. Born in 1891, the seventh son of 11 children, Spencer displayed such talent as a child that his father, a piano teacher, persuaded a local landowner to sponsor him through art school. He flourished at the Slade, despite being nicknamed “Cookham” and teased about his height (he was 5 feet 2 inches). Spencer graduated two years before the first world war broke out. Sent to Macedonia as an infantryman, he returned even more convinced that he could “approach heaven through what I find on earth”. Spencer’s religious beliefs were far from conventional. 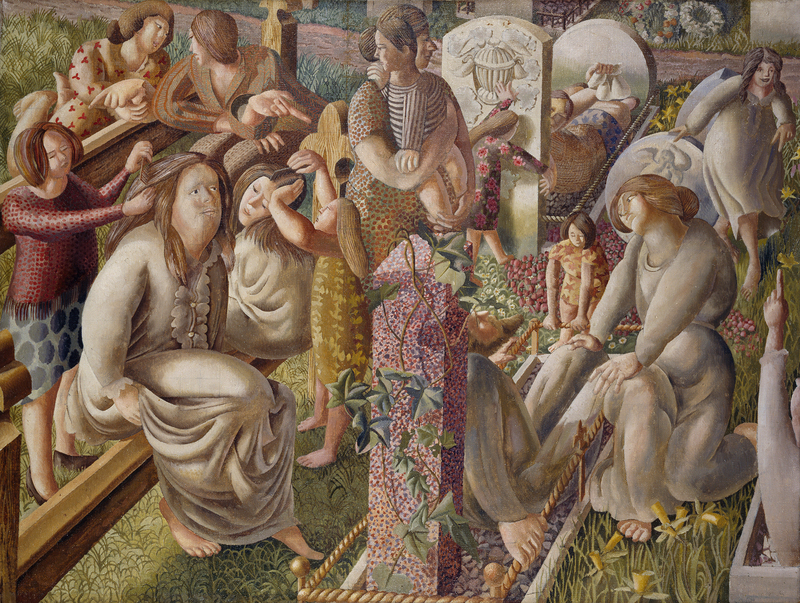 In the 1930s, his developing personal philosophy of redemptive, sexual liberation led to divorce (Spencer’s proposition of bigamy did not appeal to his wife, Hilda), and two paintings were rejected from the Royal Academy’s 1935 summer exhibition on the grounds of obscenity. None of this proved fatal to his career. He exhibited at the Venice Biennale in 1938, was commissioned as an official war artist, and re-joined the Royal Academy in the 1950s. In 1955, the Tate dedicated a retrospective to him; in 1959, he received a knighthood. 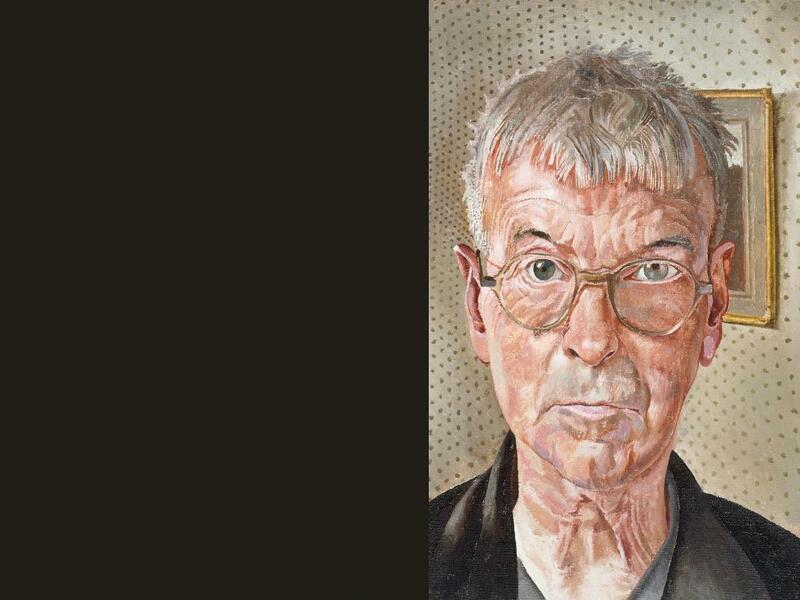 A number of prestigious posthumous exhibitions have recognised him as an heir to visionary romantics like William Blake, and inspiration to unflinching figurative painters like Lucian Freud and Francis Bacon. This was one of the paintings that was rejected by the Royal Academy. In a letter to Hilda, Spencer likened the work to “watching and experiencing the inside of a sexual experience. They are all in a state of anticipation and gratitude to each other.” It exemplifies his unorthodox view of marriage: “they in the dustman painting are super-married, all of them, all of them infinitely married to all,” he wrote. As well as accepting commissions and painting portraits of those close to him, Spencer took himself as his subject on many occasions over his lifetime. While the people in his large group compositions often have a mannered, cartoonish style, his portraits are intensely observed and searingly direct. This worried likeness was painted in north London, following Spencer’s separation from his second wife, Patricia Preece. There, he became increasingly isolated and focused on writing his autobiography, which is to be published for the first time next year. Spencer claimed that without it, no one would truly be able to understand his work. The idea of the resurrection fascinated Spencer. Although his pictures of the subject predated the war, release from military service made him feel as if he had been “born again”, a sensation that inspired him to paint the subject on many more occasions. Ever since his days at the Slade, Spencer venerated early Italian painters. From Botticelli he learned how biblical scenes could be transplanted to the present day, and how to show a story unfolding over time. And it is in narrative compositions such as this, with its complex layering of characterful figures, that the influence of Giotto and Fra Angelico can be seen. The main purpose of this painting, Spencer wrote, was to “suggest an idea of different kinds of ‘looking’.” Affection, devotion, wonder and sympathy can all be seen on the faces of these characters, who in the composition are separated by a central granite headstone that represents the division between heaven and earth. They are experiencing a resurrection through earthly experiences and human relationships. 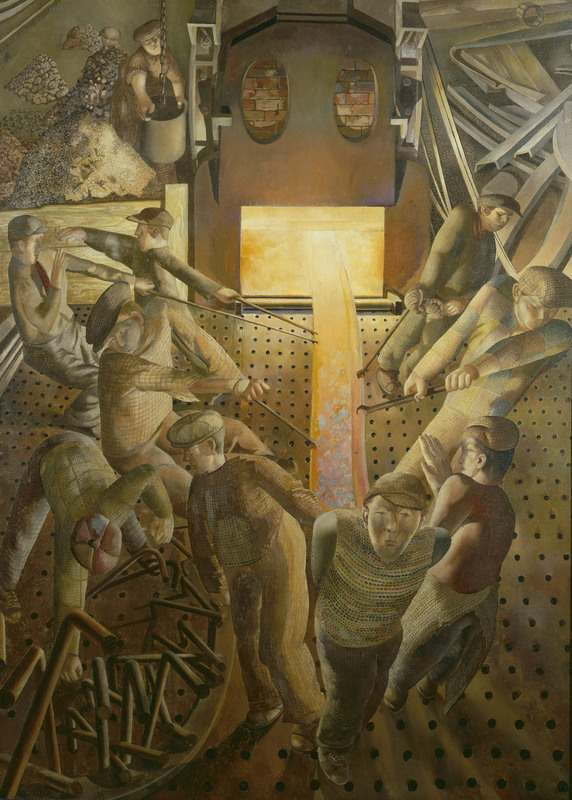 When the second world war broke out, the War Artists Advisory Committee commissioned Spencer to capture scenes of shipbuilding in Port Glasgow. This canvas of men heaving a red-hot steel from a blast furnace was the last in the “Shipbuilding” series, completed from a sketch made six years earlier. Spencer returned to live in Cookham after the war, and in the final year of his life moved back into the house where he was born. He received a diagnosis of terminal cancer in December 1958, and this was one of the last paintings he finished. “Sorrow and sadness is not for me,” were Spencer’s last words. His stalwart look and uncompromising paintwork reflect his stern determination to believe that was true. 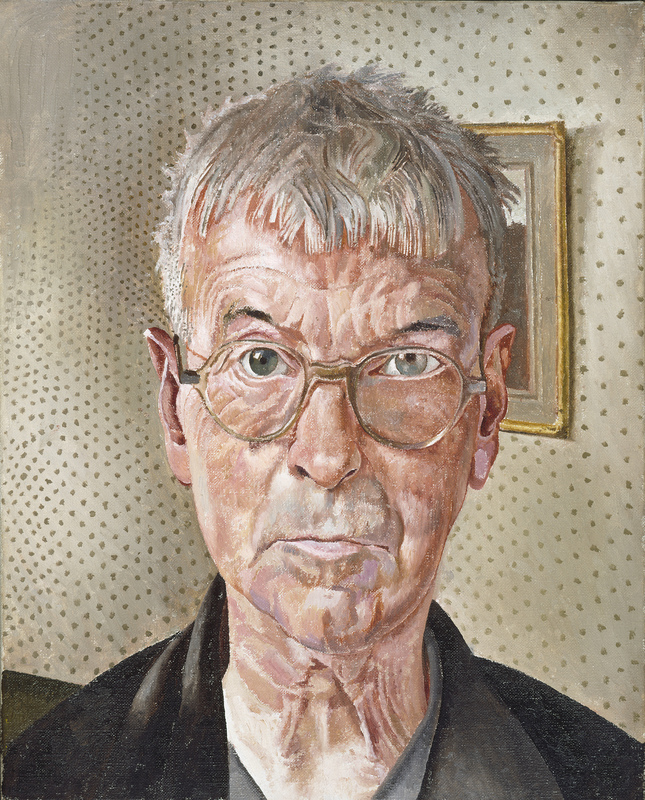 Stanley Spencer, Self Portrait, 1959, oil on canvas © The Estate of Stanley Spencer / Bridgeman Images. Photography © Tate, London 2016. Bellrope, Cookham, Berkshire, 1936 © The Estate of Stanley Spencer / Bridgeman Images. Image courtesy Touchstones Rochdale Art Gallery, Link4Life. 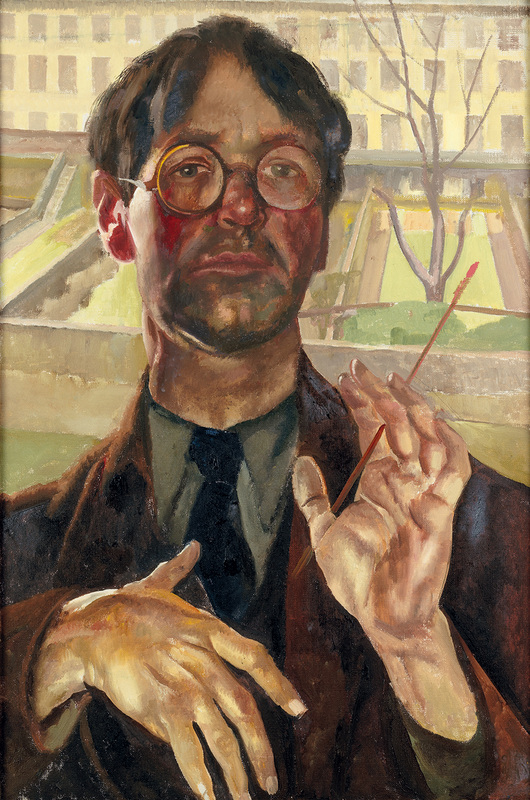 Self-portrait, Adelaide Road, 1939, oil on canvas. 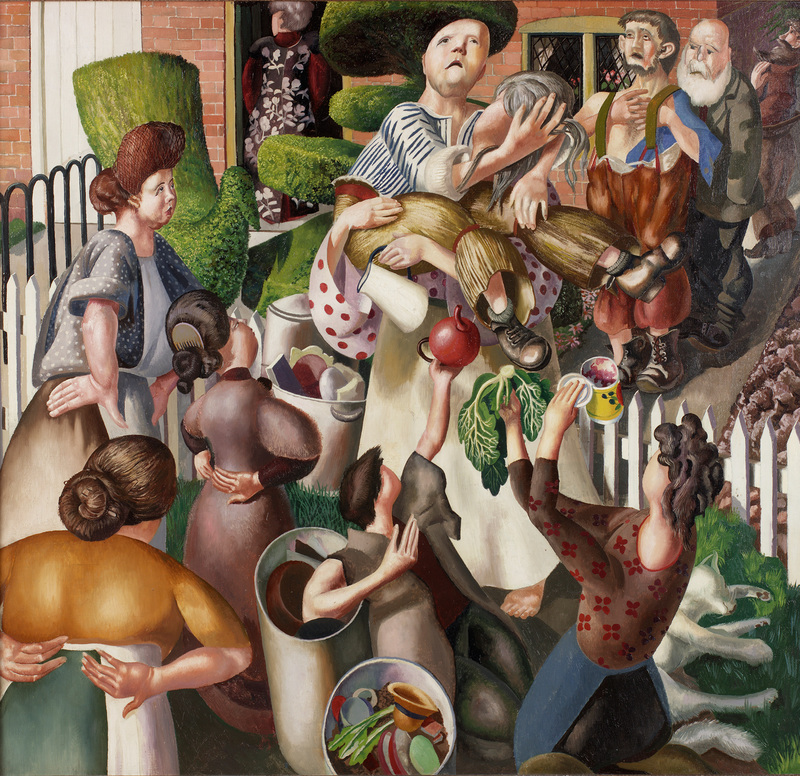 Private collection, courtesy Hazlitt Holland-Hibbert © The Estate of Stanley Spencer / Bridgeman Images.